It has been 60 years since Boris Pasternak’s Dr. Zhivago won the Nobel Prize for Literature. UFV’s College of Arts will be marking the event with a multidisciplinary forum on the legacy of this work on Tues, Nov 13 from 11:30 am to 2:20 pm in the Abbotsford campus lecture theatre (Abby B101). Three UFV scholars will look at the book from the perspective of their academic discipline. Larissa Horne, who is the experiential education coordinator at UFV and also teaches several Russian history courses, will speak on the topic of Dr. Zhivago – Timeless Novel and Its Legacy. Ron Dart of UFV Political Science will speak on Transcending Ideological Tribalism: Thomas Merton, Dr. Zhivago, and Boris Pasternak. Dart serves on the national executive of the Thomas Merton Society of Canada. Alan Cameron is associate professor in Modern Languages at UFV with a strong interest in Russian literature. He will speak on The Poems Yuri Zhivago: Changing Defeat into Victory. 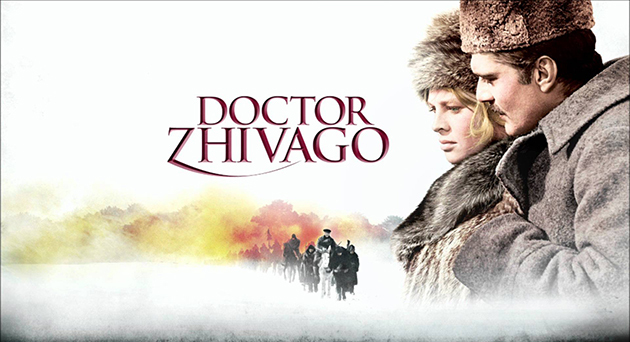 Dr. Zhivago is named after its protagonist, Yuri Zhivago, a physician and poet, and takes place between the 1905 Russian Revolution and the Second World War. Initially the book was refused publication in the USSR. The manuscript was smuggled to Milan and published in 1957. Pasternak was awarded the Nobel Prize for Literature the following year, an event which embarrassed and enraged the Communist Party of the Soviet Union. After the fall of the Soviet Union, the book became a treasured text in Russia and is taught to high school students there.